Two of Dancehall's finest are continuing to create pandemonium in the digital hemisphere. 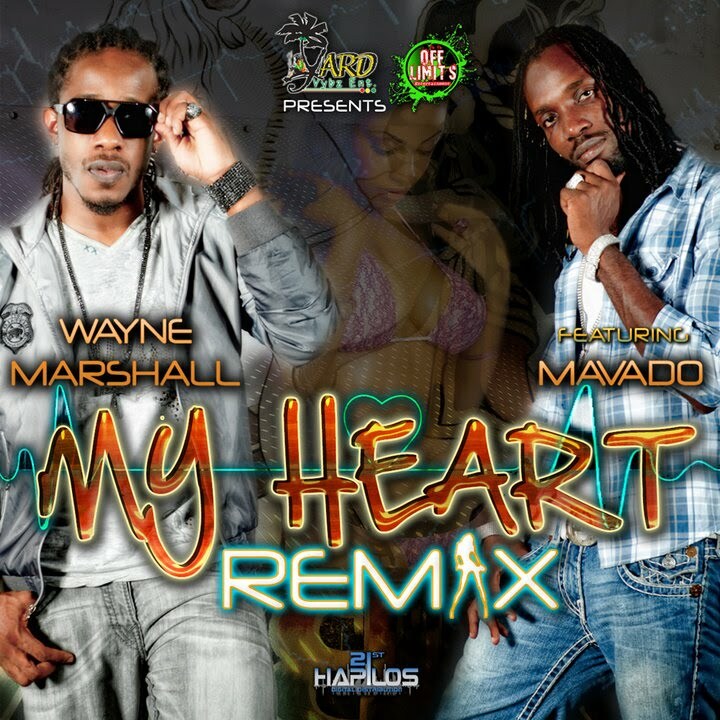 Wayne Marshall, with the newly released remix of his single, My Heart featuring Mavado and Vybz Kartel & Popcaan's continuous ascent with Clarks are doing not only well on charts, but have also continued to rake in sales both home and abroad. Wayne Marshall's My Heart remix single and video were released recently, the latter on Friday night, and within hours websites and media houses were in a flurry of excitement over the new video. 21st/Hapilos Digital Distribution which is responsible for the distribution of Marshall's My Heart remix featuring Mavado produced by Baby G on the Yard Vybz/Off Limits label and the Vybz Kartel & Popcaan Clarks phenomenon are adamant about continuing to push their clients to new heights. Johnny Wonder, executive vice-president of 21st/Hapilos says, "Wayne is a great artiste and I think it shows in the amount of love he has been getting from members of the public and media after releasing the single and video only a short while ago. The Clarks single on the Mad Collab riddim is no different. Every week the song breaks a new boundary overseas. So with that aim in mind we are continuing to push both singles on iTunes, Amazon and all digital outlets worldwide in addition to radio stations across the world." Wonder is correct in his comment regarding the Clarks single produced by ZJ Chrome's CR2O3 label breaking international boundaries. Only a few days ago, the UK Guardian did a piece entitled "Vybz Kartel puts Clarks footprint on Jamaica", while prior to that the UK Sun also explored the Clarks prodigy. This is in addition to overseas persons further buying into the Clarks sensation and logging on to purchase the single on the digital outlets . Wonder, very passionate about Reggae and Dancehall and whose company, 21st/Hapilos, sponsors an hour of ZJ Liquid's "Fresh To Death Wednesdays" show between 3-4 p.m., further said, "Dancehall and Reggae music are full of talented persons and as the digital age continues to expand, our local music will very much be a part of the global space and that can only serve to benefit our music as with the case of Wayne Marshall's My Heart and Vybz Kartel & Popcaan's Clarks. That's what 21st/Hapilos is about."